The Angry Birds have been captured, caged, and taken to Rio! The Angry Birds have been captured, caged, and taken to Rio! There they meet new friends, and work together to make their escape from a desolate grey warehouse to the lush green jungle. 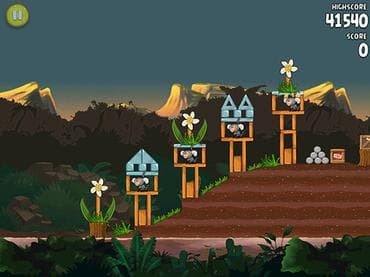 Help the Angry Birds escape and beat their captors by bombarding the evil marmosets and smashing all obstacles in the way! Download Angry Birds Rio Femo game today and now! Если у Вас есть вопросы, связанные с игрой Angry Birds Rio пожалуйста используйте эту форму для связи с нами.